Foot pain, particularly chronic pain, can drastically interfere with your lifestyle and daily routine, and may result in you giving up activities that you love, such as running, training or even moving pain-free. 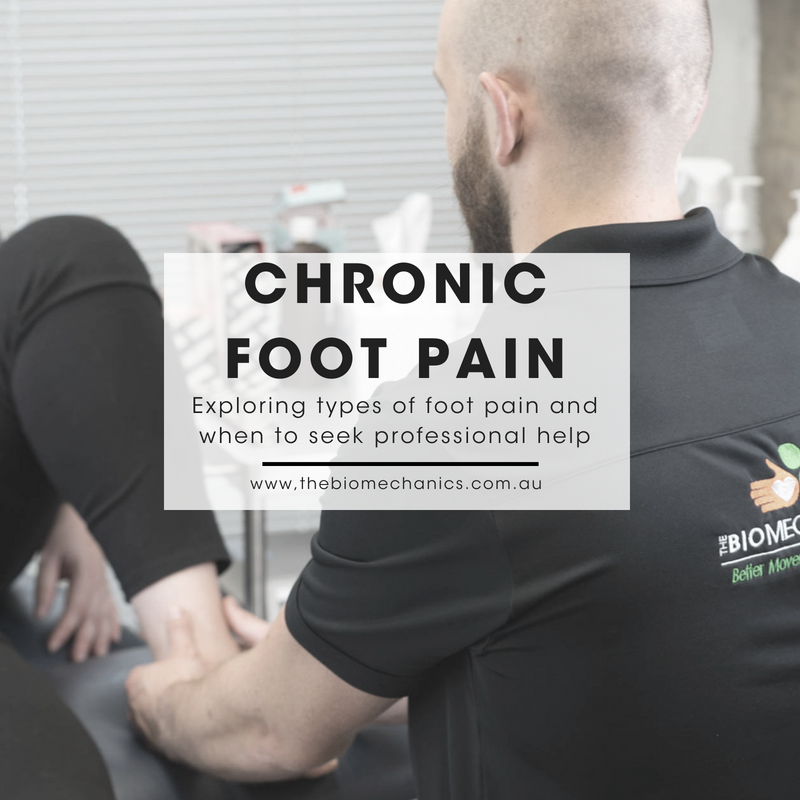 There are a number of conditions and causes that can result in foot pain, and it is important to be able to differentiate between chronic pain and temporary pain. In terms of chronic foot pain, we are talking about persistent pain that has lasted for longer than the ‘normal’ timeframe of healing (weeks to longer than approximately 3 months). This may vary with different conditions. As a podiatrist, some of the most common types of pain I come across are heal pain, Achilles pain, Midfoot pain and pain in the big toe. Some injuries, conditions and pain can improve on their own, but there are situations when you may need to seek professional help. If your pain is worsening and/or unchanging for a period of time that concerns you, seek treatment and advice from a practitioner such as a podiatrist, or your local GP. Signs and symptoms that you can look out for include; pain increasing, constant pain, pain for a longer period of time (days turning into weeks). If you’re not concerned about your pain, try movement! Movement is a great way to see what you can currently do, and get a good baseline measure to see if you are improving or not.